Beyond the snowy depths of The Black Forest, a family is frozen by the mystery of their missing mother. Soon after the disappearance, the daring sibling duo of young Hansel and his older sister Gretel embark on an icy adventure in hopes of rekindling the warmth in their home. 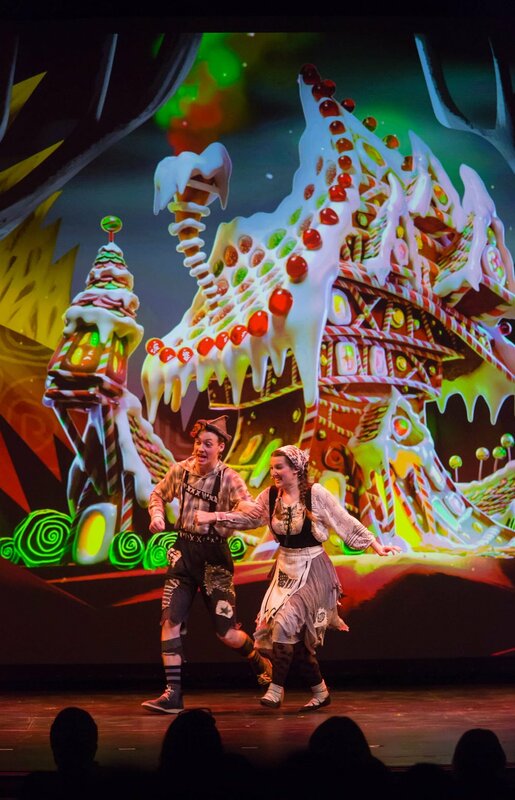 The Grimm Brothers bring the story to life with a rock and roll score amidst an animated wonderland inspired by the whimsy of Lemony Skicket and Roald Dahl. This sparkling fable of humor and heroism is anything but grim.